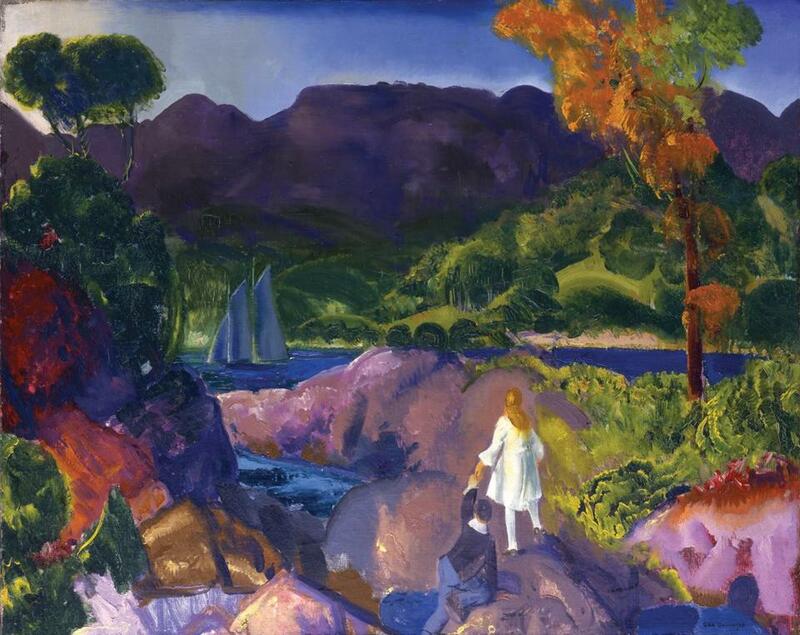 George Bellows’s “Romance of Autumn” in “Directors’ Cut” at Portland Museum of Art. PORTLAND, MAINE — There are two museums on the Maine Art Museum Trail that have so far eluded me: the University of Maine Museum of Art in Bangor and the Monhegan Museum of Art and History. The first — sorry Bangor — is too far north of Boston. The second is on an island — and that’s just inconvenient. The other six, I’m happy to report, I know pretty well. There’s the Colby College Museum of Art, which recently opened a new pavilion to house part of a stunning 500-work collection donated by the Lunder family. There’s Bates College Museum of Art, which puts on terrific contemporary shows and has wonderful Marsden Hartley holdings. There’s the Farnsworth Art Museum, with its deep collection, great building, and separate annex devoted to all things Wyeth (current offerings: “The Wyeths, Maine and the Sea” and “Andrew Wyeth: Maine Watercolors”). There’s the dynamic Bowdoin College Museum of Art, located on the edge of Bowdoin’s gorgeous campus in Brunswick. And closest to Boston, there’s the Ogunquit Museum of American Art, in the most purely scenic and inviting location of any museum I know. The Farnsworth has sent paintings by three generations of Wyeths. 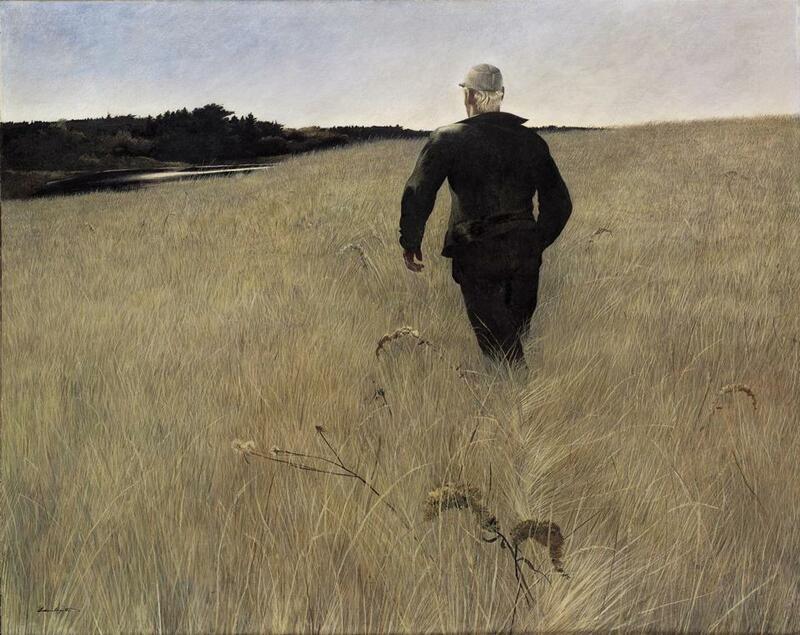 Andrew Wyeth’s 1944 painting “Turkey Pond,” which shows a man walking away from the viewer through a field of dry grass, is a highlight. But his father N. C. Wyeth’s “Bright and Fair — Eight Bells,” 1936, is almost as riveting. If the title — a reference to nautical time — recalls Winslow Homer’s 1886 work “Eight Bells,” painted at nearby Prouts Neck, the big afternoon sky of the elder Wyeth’s painting, which shows a solitary house by a bay, is closer in spirit to Edward Hopper. The Farnsworth has also lent works by Alex Katz (a 1980 portrait of the photographer Rudy Burckhardt, his neighbor in Maine), Rockwell Kent (a snowy coastal landscape from 1907), and George Bellows (the transporting 1916 painting “Romance of Autumn”). The selections of Colby College director Sharon Corwin are also focused on landscape. Rackstraw Downes’s fastidiously realistic 1974 panorama of a power station and factory beside a river in Waterville (the home of Colby College), is the first of four landscapes that hang in a row. Beside it is John Marin’s loosely brushed, flattened-out, proudly modernist 1935 painting of a crescent-shaped bay at Cape Split. The third in the sequence, Richard Estes’s 2001 “Mt. Katahdin, Maine,” returns us to deep perspective and a photographic fidelity to appearances. And then there is George Bellows’s lushly rendered “Hill and Valley.” Painted in 1913, the year modernism arrived in America with the Armory Show, its attention to real light and texture and its frank sensuousness are nonetheless redolent of 19th-century realism. The sequence reminds us not just that Maine has inspired a dizzying proliferation of painting styles, but that its landscapes have, to a certain extent, stubbornly resisted abstraction. Artists, even late-20th- and 21st-century ones, still feel the urge to show what they see — and how could they not, when what they see is so seductive? Happily, it’s not all Maine landscapes. The Portland Museum of Art’s selection is modest — presumably because the stars of its permanent collection are close at hand in other parts of the building. But it’s a little more audacious, and it includes a number of stunning photographs. One of them is Siri Sahaj Kaur’s “Kristie,” an almost full-length standing portrait of a young female wrestler with red hair. The portrait won an award at the 2011 Portland Biennial, and it looks as arrestingly immediate and as uncannily classical as it did then. Portland’s edgier aspect is represented by a couple of photographs of the city’s night life by the brilliant Paul D’Amato. Bates College Museum of Art has lent mostly works on paper and photographs — several of, or by, Marsden Hartley, all of them fascinating. But its most interesting contributions are two drawings in charcoal on mylar by Dozier Bell. One shows burning smoke rising from the ocean; the other, a rocky outcrop under a raincloud. Resembling 19th-century black-and-white photography, but drawn by hand, they are small and haunting. 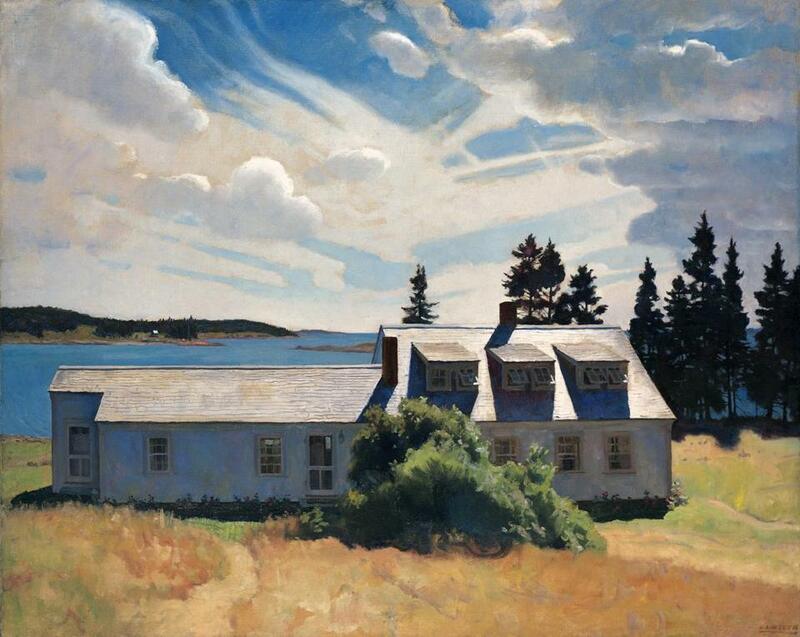 The Ogunquit Museum of American Art, meanwhile, has sent several fascinating paintings, including Hartley’s “Mt. Katahdin, Winter” — a little symphony in downbeat gray — along with Walt Kuhn’s vibrantly colored “Sleeping Girl,” 1922; Yasuo Kuniyoshi’s “Still Life With Candy Lane,” 1929; and Hamilton Easter Field’s “First Bridge, Perkins Cove,” 1915. And that’s the joy of the Maine Art Museum Trail. The same artists keep cropping up in different places: There are Hartleys here, Homers there, Wyeths, Hoppers, Zorachs, and Katzs all scattered hither and thither. You may need to keep notes to keep it all straight in your head. But art-wise, you can’t really go wrong. At: Portland Museum of Art, Portland, Maine, through Sept. 20.